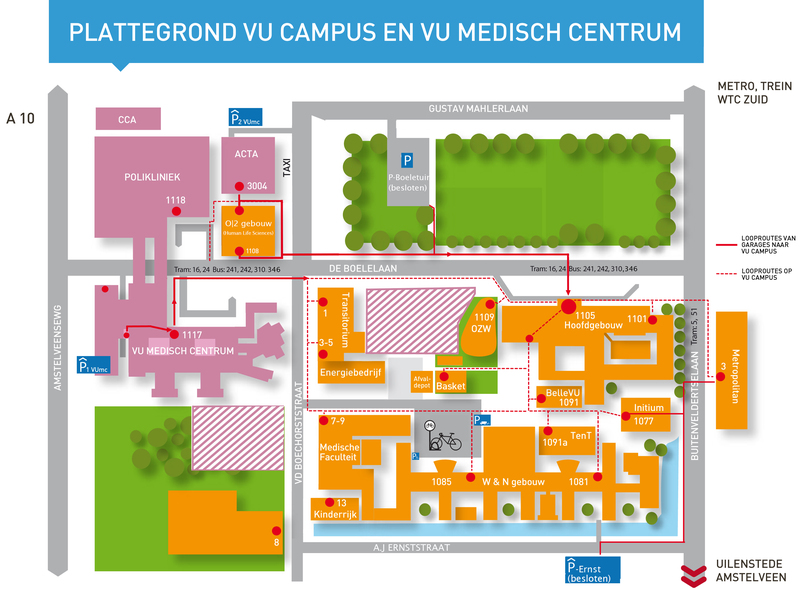 The red/blue CCA building (building 9 on map) can be reached from within the VUmc POLICLINIC (entrance De Boelelaan 1118) (See layout VUmc buildings in figure below). Take the stairs to the first floor, and continue through the section called “poli-M". Contine untill you reach the end of the hallway, and then take a left turn. 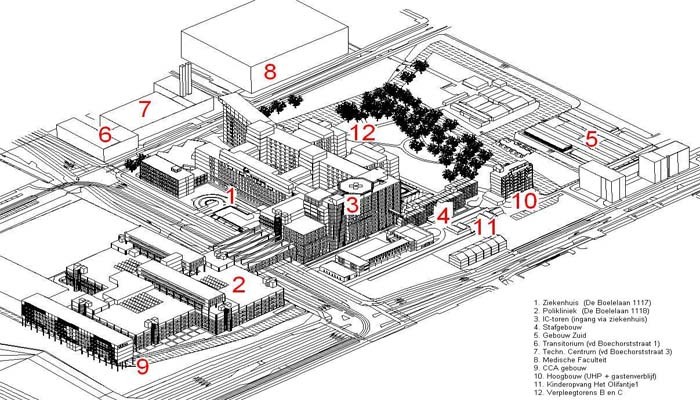 After a short step, you will reach the bridge that connects the hospital with the CCA building. The entrance is only open for badge-holders. A telephone can be used the contact somebody to open the door for you.